Droves of abhumans, murderous and vile, roam the vast wilds. The Iron Wind blows where it will, hideously reshaping everything it touches. Ancient poisons, locked aeons within the earth, might rise to blight crops or sour wells, while creatures and machines, millennia old, pursue long-forgotten goals without regard to the destruction they rain upon the hapless. And among all these horrors, it is often we ourselves who bring the greatest grief to our neighbors. Is there hope for the scattered and struggling people of this world? Are we doomed to cast but envious eyes on the achievements of the prior worlds, and only dream of the greatness they once knew? 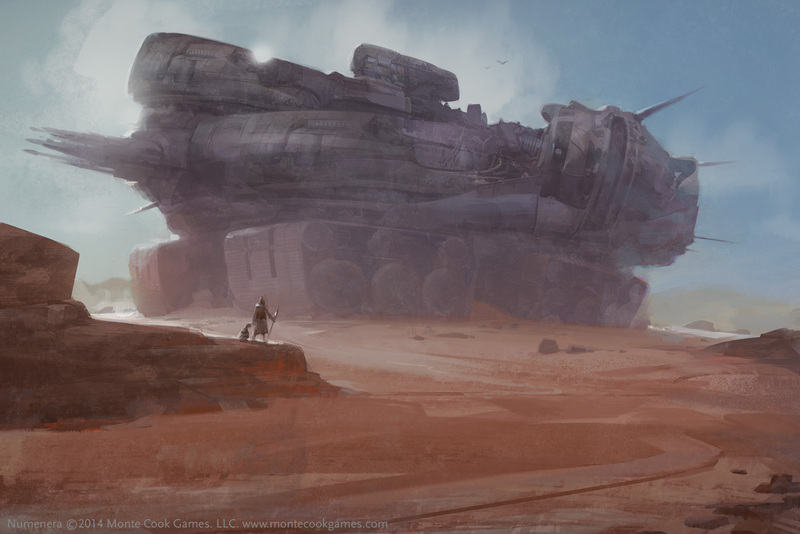 Or are the remnants of their civilizations—the numenera—the very key to our own destiny? The truly valorous delve for the secrets of the prior worlds not for the riches they bring, but because the mysteries and wonders of the numenera are a pathway toward a better future. Who will lead us into this new world? Who will tap the wonders of the ancients to defend the weak, bolster the sick and starving, and illuminate the ignorant? Who will build a new and better community, and bring vision to a world in darkness? Will it be you? 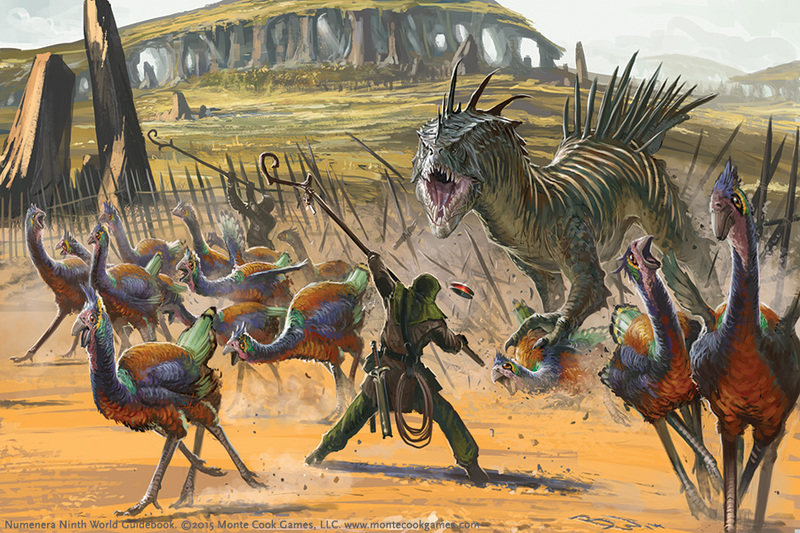 The Numenera roleplaying game’s setting, the Ninth World, is locked in an age of struggle. The people of this world live in a medieval-like state—but one illuminated by the “magic” of the prior worlds. 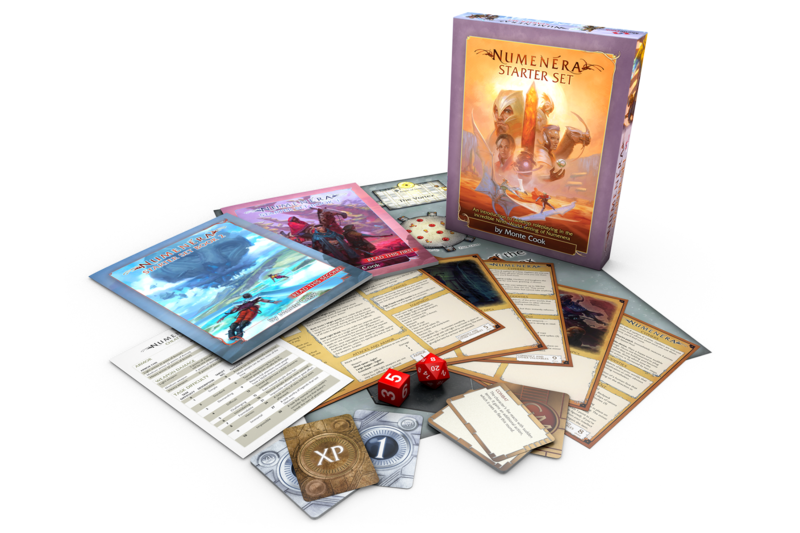 Those who seek out and master the numenera may find wealth and power. But more importantly, they can build a community, carve a pocket of light from the darkness, and set the Ninth World on a path to regain—or even surpass—the splendors of the prior worlds. You might help reshape the very world and find for yourself, and the Ninth World, a greater destiny. Journey deeper into the Ninth World. Jacks, Nanos, and Glaives: What sort of character will you be? Fast, fun, and imaginative: A look at gameplay.